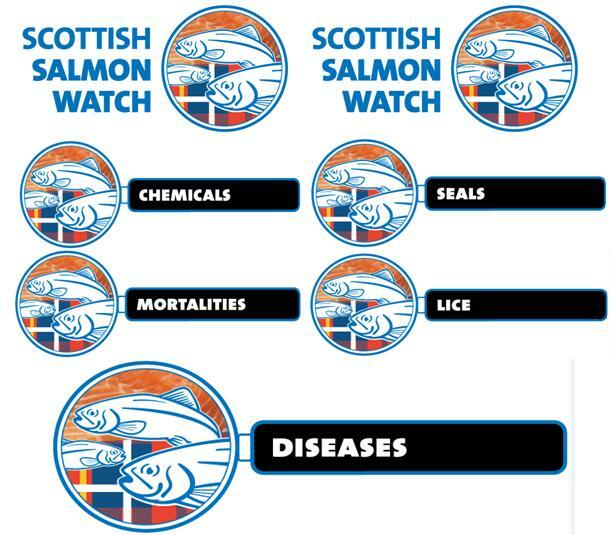 This is a short educational animation piece that best describes the issue that face pink salmon in North America, Canada and Atlantic Salmon in Ireland, Scotland, UK and Norway. 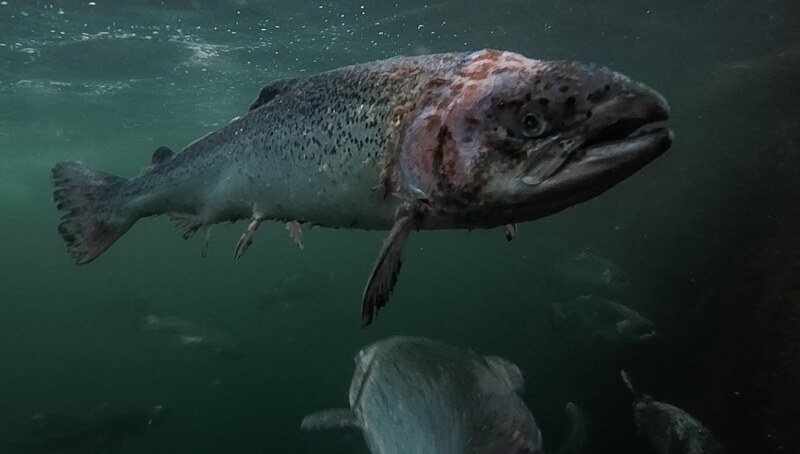 This film was commissioned by Salmon and Trout Conservation Scotland What has occurred across the west coast of Scotland over the last few decades is nothing short of a travesty. 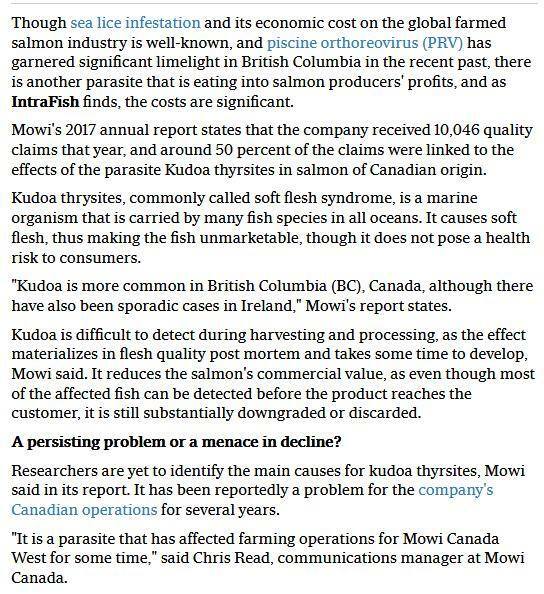 We have been responsible for the systematic demise of a great natural resource, decimating the wild populations of salmon and sea-trout in order to support big business in farmed salmon. 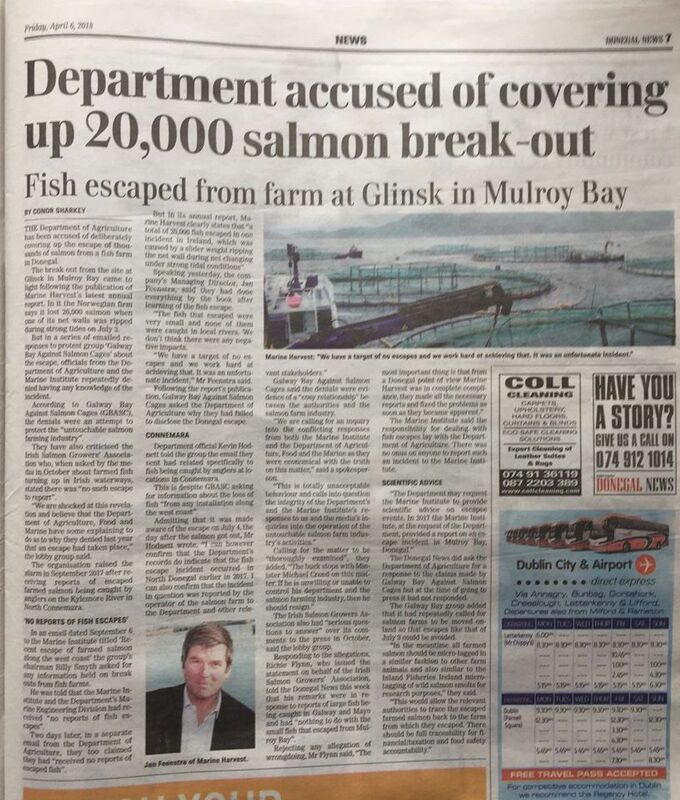 A decision on whether to allow a huge new salmon farming operation in Bantry Bay may not now be made until next summer. 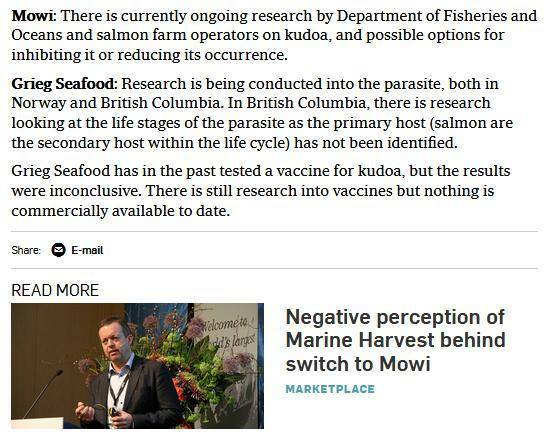 The Aquaculture Licences Appeals Board (ALAB) was due to make a decision on the application by this October, having signalled last December that it would request a string of new reviews in relation to the proposed development off Shot Head, including a new environmental impact statement on the risk of sea lice infestation and assessments regarding any potential impact on the otter, seal, and wild bird population in the area near Bantry. 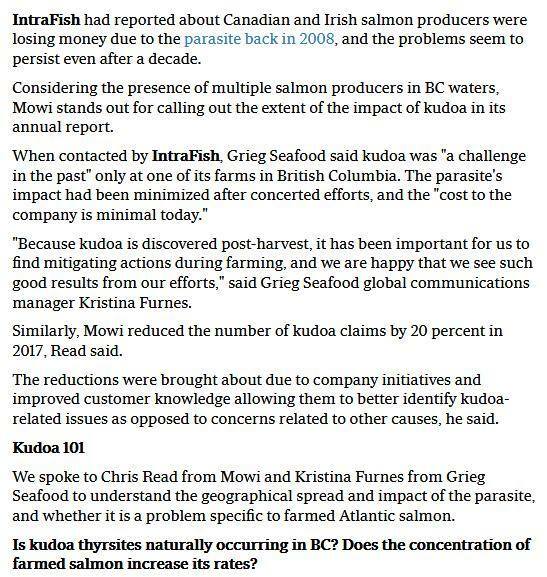 However, in a letter issued to those opposing the salmon farm, and Marine Harvest, the company which applied for the development, ALAB said it could be June 30, 2019, before a decision is reached. The case involves an appeal lodged with ALAB following the granting by the Minister for Agriculture, Food, and the Marine of aquaculture and foreshore licences to Braden Farad Teo, trading as Marine Harvest of Fanad, Co Donegal. An oral hearing last year was halted over a technical issue and in April this year ALAB sought submissions from the various parties and has now revised the timeframe for its decision. Alec O’Donovan of the Save Bantry Bay group said opposition to the plan is still as strong as ever and that it was a “complicated” matter that needed time. A spokesperson for Marine Harvest said: “While respecting ALAB’s mandate and independence, Marine Harvest Ireland wishes to place on record its disappointment that a final decision still hasn’t been reached on an application which the company originally applied for to the Department of Agriculture in 2011. 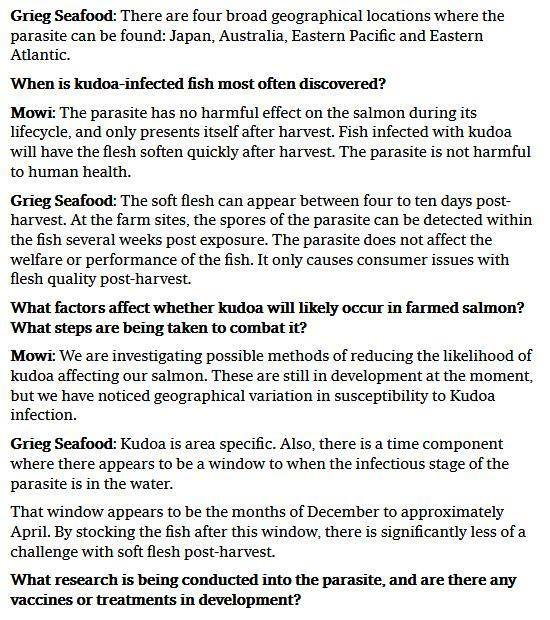 “Those who end up bearing the brunt of this inaction and suffering most are our workers who don’t have the certainty and security of regular work because we cannot grow enough fish. 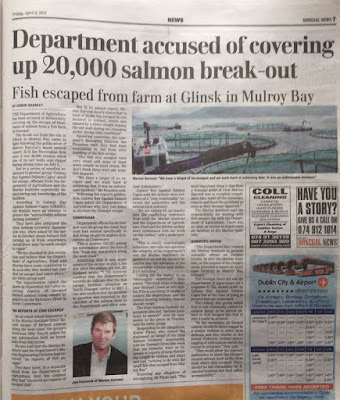 The spokesperson said the Agriculture Minister, Michael Creed, had been asked to address “the serious bottlenecks in the aquaculture licencing system” in an independent report commissioned by his department and Marine Harvest those recommendations implemented “to break the never-ending cycle of unnecessary delays”. 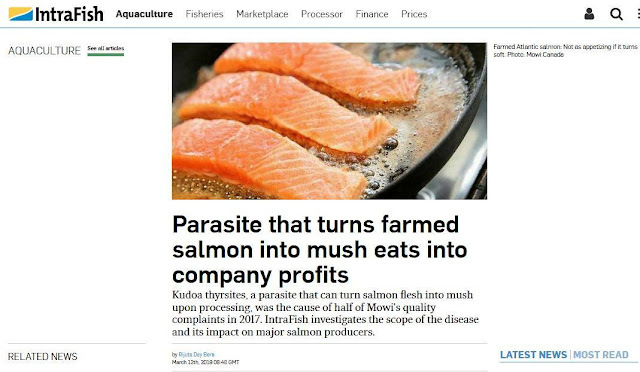 The spokesperson added that the company has earmarked €22m for investment in Irish sites and the country’s failure to meet aquaculture targets could result in lost income of €1.3bn by 2020 “if no tangible, progressive action is taken by the department”. 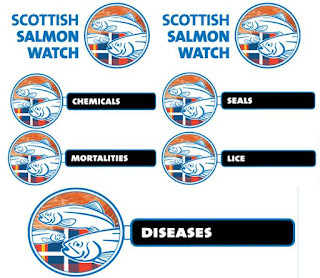 In May, Scottish Salmon Watch will be organising protests outside the Scottish Parliament when Marine Harvest (2 May) and the Cabinet Secretary for Rural Economy & Connectivity (16 May) are grilled by the Rural Economy & Connectivity Committee.